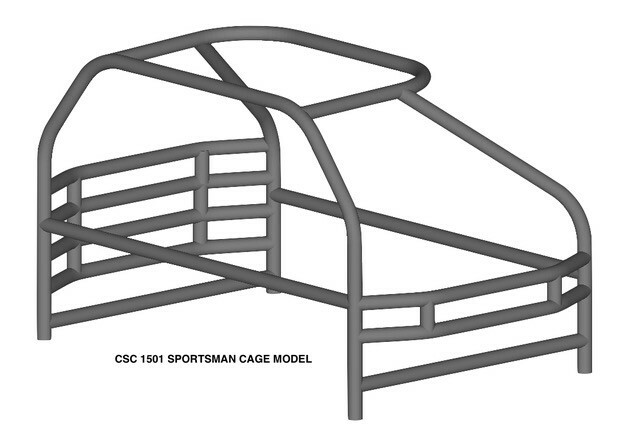 The CSC 1501 Roll Cage Kit comes with 4 curved door bars on the driver side and two curved door bars on the passenger side for excellent protection. The door bars are curved and many have different depths from top to bottom to fit out to the door skins. Each kit includes gussets, door bar spacers & roof hoop gussets if necessary. All of our cages come with our full instruction booklet, written in plain English, so you don't waste any time. Our cages are made of 1 3/4" x 0.095 wall ERW tubing. You may request 1 1/2" x 0.095 wall ERW tubing at an additional charge.